Elvaston and Thulston nestle together in the environs of Elavston Castle just off the Shardlow road. The castle, the ancient seat of the Harrington Family and now under the ownership of Derby City Council rests within a Country Park which is open to the public. Both Elvaston and Thulston villages are of medieval origin. 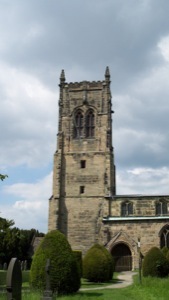 The parish church is St Bartholemew’s which is of Norman foundation and is within the precincts of the castle.